So this is a quick review of the Nokia N8 which a friend of mine let me played around with for a couple of hours so its not really extensive, just my impressions on the mobile phone hardware and a bit of the software side too. Let me just say that any phone that makes use of metal or aluminum will pretty much get the thumbs up from me in terms of design. 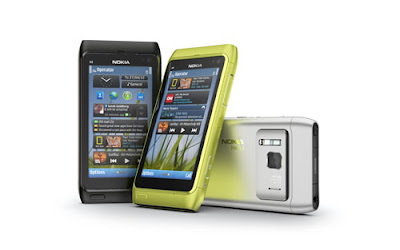 The Nokia N8 is no exception and with different colors to choose from? This is a fashionista's dream phone. On the front you can find the 3.5 inch capacitive AMOLED touchscreen with which is not as crisp as the iPhone's retina display but it's good enough for me. There's one solitary hardware button on front below the screen, and that's the menu button. On top of the phone is the power button, 3.5mm headset jack and the HDMI port. On the left side is the concealed microSD slot, simcard slot and the microUSB port. On the right is the volume rocker, lock slider button, and the dedicated camera button while on the bottom is just the charging port. Now before you gripe why Nokia isn't using microUSB chargers, don't get upset. You can actually charge using either Nokia's proprietary plug or any MicroUSB charger you have lying around which is really great as I have old Nokia chargers and microUSB chargers lying around the house. The 12 megapixel camera is on the back together with the Xenon flash. 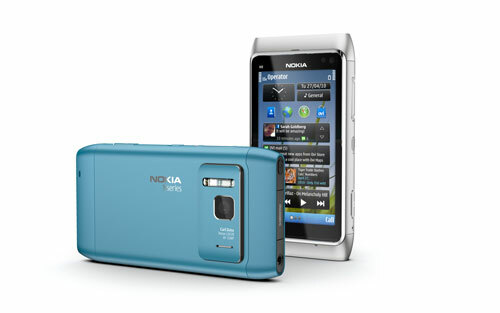 Now why Nokia felt the need to have the camera slightly raised above the back of the phone is a mystery to me. In my opinion, it's just a design flaw, another thing I hate about the design are the covers of the HDMI port, sim card and microSD slots. They're a bit too hard to open. Other than that, I have to say that the Nokia N8 is a REALLY gorgeous mobile phone. I was really excited to try the Symbian ^3 OS. I'm not really a Nokia follower but from the other blogs I read, this is supposed to compete with Android and iOS. Sadly, when I browsed the Nokia N8, Symbian 3 is a big disappointment. First, the homescreen doesn't seem to change and looks like the homescreen on the Nokia N97 Mini I've tried previously. Yes, there are widgets available but the widgets are limited to rectangular ones. The widgets found on the Nokia N900 is actually much better. Now as for scrolling to the homescreen, I would have said that the interface is laggy but according to some, after swiping the screen, it's only then that the homescreen will change, that's how it supposedly works...Oh-kay then, I'll give the N8 the benefit of the doubt on this one. The menu seems unchanged but thankfully, gone are the days when you have to double tap to open an app. With the double tap to open gone, Symbian ^3 is actually speedier compared with what's on the previous Nokia N series mobile phones. What I don't get about Symbian ^3 is why they didn't change the text input interface. When I go to messaging, instead of just typing on the open window, a new window opens where I have to input my text then I have to click "done" to take me back to the original window. Also, please correct me if I'm wrong as I couldn't seem to find the right option when I was handling the phone, but there's no QWERTY in portrait mode, only in landscape mode which is annoying really as I'm sure the 3.5 inch screen would cater it. I mean, the Samsung Galaxy 5, with its measly 2.8 inch screen is able to switch between multi-tap and QWERTY keyboard so why can't Nokia? Anyways, on to the multimedia features of this phone. First, the music player has some sort of coverflow interface in landscape mode which is a plus considering that Android still doesn't have it. Audio quality through the speakers is superb, a thousand times better than on the HTC Desire Z (T-Mobile G2) and unless my ears deceive me, better compared with the iPhone 4. Video playback is also great. I popped in my microSD card with an Xvid Video and it played smoothly on the Nokia N8. Nokia says that the N8 is capable of handling 720p video playback and though I don't have a sample with me, I'll take their word for it. 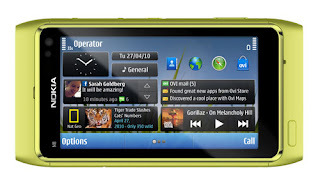 720p video playback plus HDMI output and the Nokia N8 could very well be your portable home media player. I can't delve on the picture quality and video recording capabilities since I only got a few hours with it but I'm sure other sites have already delve into those features deeply, after all, it's the Nokia N8's Pièce de résistance and as I read on other reviews, the Nokia N8 excels on this department. One of the things I love about Nokia phones is OVI maps. If I have to buy a Nokia phone, I'd probably buy it for OVI Maps alone. Don't get me wrong, Google Navigation is good and free too but it's limited to the US and UK while OVI Maps is available for most countries. You can travel just about anywhere with your Nokia phone and you'll never get lost thanks to OVI maps. The GPS antennae on the N8 locks in on the GPS satellites pretty fast. Now on to the web browser which is another mystery to me. The web browser on the Nokia N900 is superb, it's fast and has flash support, so why can't Nokia port that to their Symbian phones? The web browser on the Nokia N8 is disappointing to the point of abysmal. It's slow and crashes. There's flash support but it's not as well integrated compared with flash on Android. There seems to be no text reflow although there's a find on page option which beats the Safari browser but other than that, there's no redeeming quality. Hopefully, this could be fixed with a software update and let's hope that this is one of the first things that Nokia updates on the N8. I really can't say that Symbian ^3 can compete with Android and iOS, it probably can't compete with Windows Phone 7 too but for longtime Nokia users, they'll be treated with something familiar but a total improvement to their older Symbian phones. Although I'm tempted to write off the Nokia N8 and tell Nokia to go back to the drawing board, I can honestly say that the Nokia N8 will probably find a market here in the UK. First, it offers an attractive price, second, for those not so concerned with mobile OS and wants features, the Nokia N8 has a lot to offer. So while the Nokia N8 didn't convert me to being a fan, it did convince me that Nokia at least have a fighting chance of keeping their no.1 title in mobile phone sales. I like it. The 12 megapixel camera is awesome!